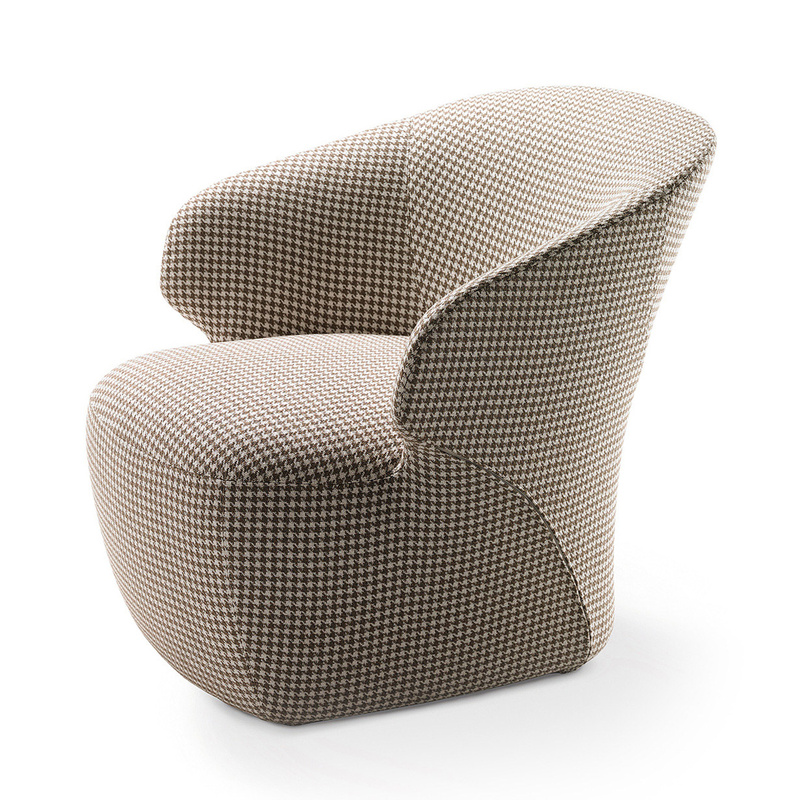 The Arom armchair in hounds-tooth fabric – an iconic creation by the Zanotta brand! 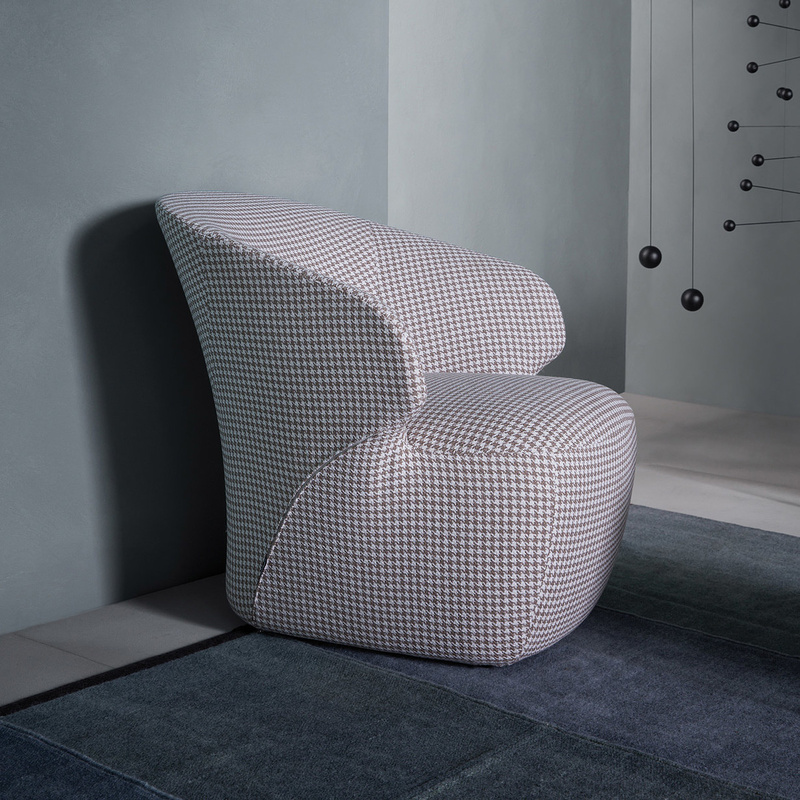 The Arom armchair in hounds-tooth fabric by Zanotta is a charming and original piece of furniture, but at the same time it is also elegant, a piece that deserves to be considered special for both its design and the particular fabric lining it features. 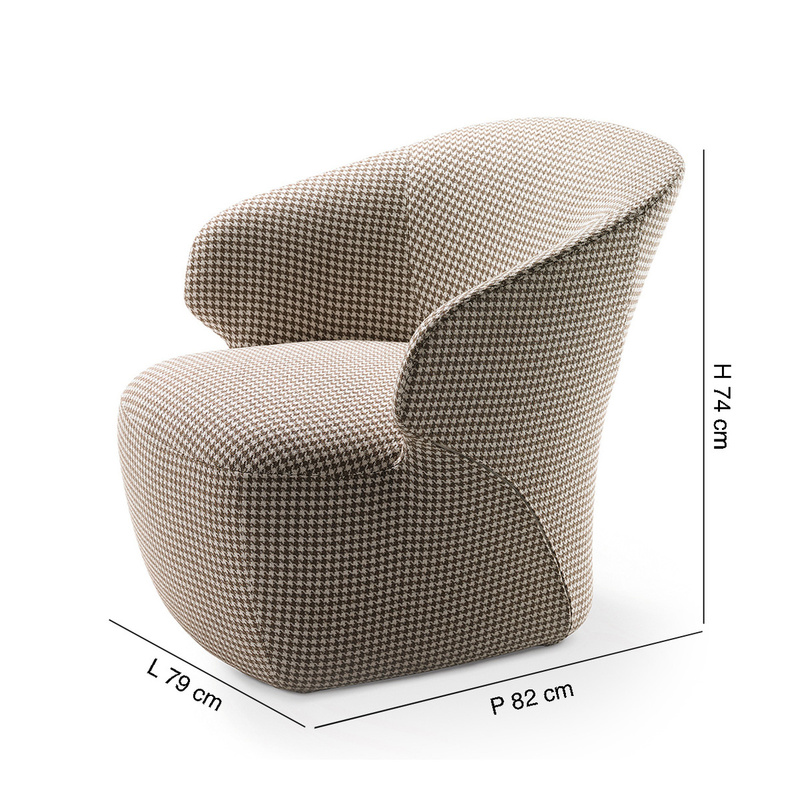 This armchair was designed by Noè Duchaufour Lawrance, a well-known French designer, and has been proposed by the Zanotta brand also in other variants, i.e. with different types of lining. 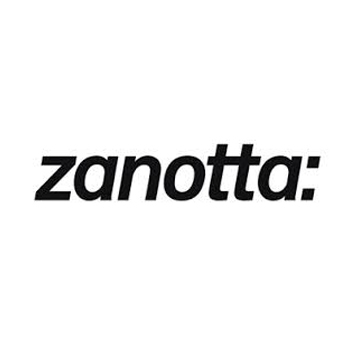 The design of this model is very special: for this piece the Zanotta brand has chosen a hounds-tooth fabric with contrasting yarns which recreate a very particular optical effect. Called ‘pied de poule’ (‘chicken’s foot’) in French, the typical hounds-tooth pattern is quite elegant, and modern and vintage at the same time. But the lining is not the only thing that makes this piece special: Arom in fact features very sinuous and modern lines. 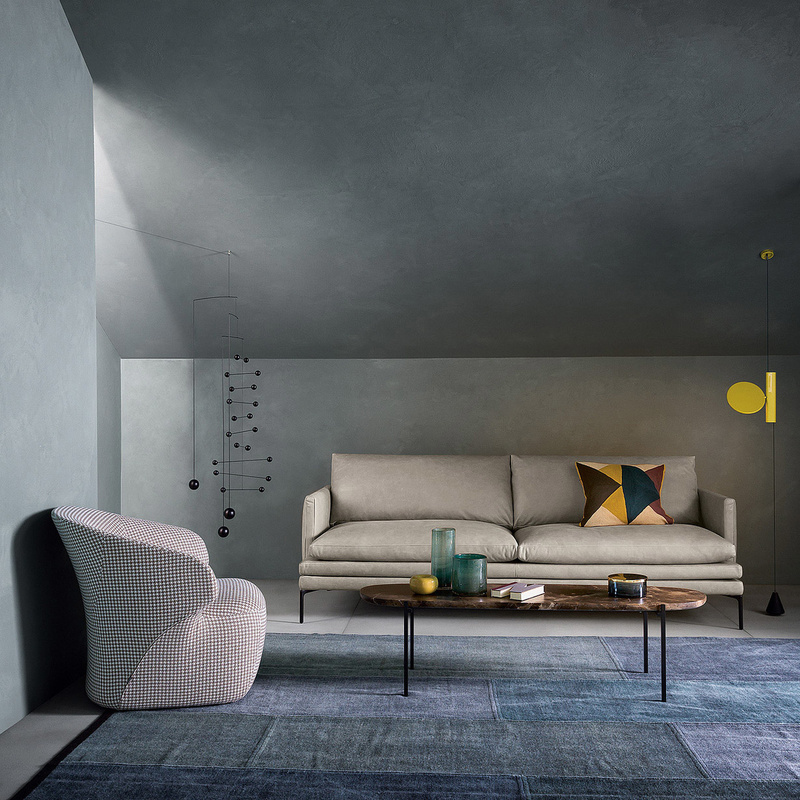 The particular shape of this piece, besides being very aesthetically pleasing, can also guarantee a great comfort to you and your guests as it is incredibly ergonomic. The inner padding, too, is very soft, the backrest is quite high, and overall every detail of this piece is designed to "embrace" the body of those sitting on it. The inside frame is very sturdy, being made of a strong material such as steel, and therefore this item is very stable and safe. The padding, on the other hand, is made in self-extinguishing polyurethane foam and thermo-controlled polyester fibre while elastic ribbons constitute spring suspension. The inside lining of the Arom armchair in hounds-tooth fabric is removable, and this is a very useful feature especially during spring cleaning. 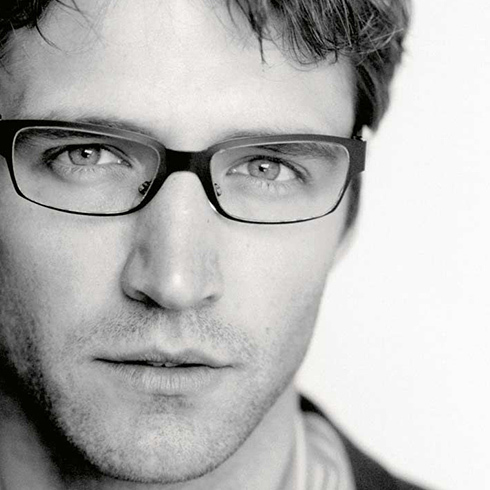 Born in 1975 in southern France, Noé Duchaufour Lawrance is a designer of objects and interior design. Following the footsteps of the sculptor father, he soon began to follow his artistic orientation. Raised in a creative atmosphere has quickly defined his language: use natural forms, to achieve soft and organic lines, which remain fluid and structured at the same time. Having a degree in metal sculpture, he attended the furniture section of the renowned Les Arts Décoratifs School. Thanks to a rich creative background, Noé Duchaufour Lawrance has explored new frontiers and quickly got involved in unusual projects: one after the other have allowed him to define and create their own aesthetics and style. In 2003 she founded her own creative studio, Baby Girl, which means "new birth". In 2007 he received the prestigious award for the design world, "Créateur de l'Année" by Maison & Objets. In the same year he designed the new interior of the Maya Bar in Monaco, has rejuvenated the famous Maison Sénéquier St. Tropez and created in partnership with Brand Image, the new visual and architectural identity of the waiting rooms of business class of Air France .